Stilbaai, or the Bay of Sleeping Beauty as it's sometimes called, lies roughly 330 kilometres (4 hours) up the N2 from Cape Town. It is a peaceful spot with beautiful beaches giving one many things to do in Stilbaai. It is no wonder that Stilbaai is so popular. Located on the Indian Ocean as it is, Stilbaai has a moderate climate with highs of 28°C in summer and lows of just 12°C in winter. The cherry on top is that the warm ocean current that passes that coastline means that swimming is a pleasant experience rather than a toe-curling one. Naturally, the beaches are a major attraction in the town and there are many beach and water-related things to do in Stilbaai. There are a number of white sandy beaches in and around town, with the Lappiesbaai being awarded Blue Flag status. This beach and others are popular for kite surfing and wind surfing while nearby there are 'normal' surf spots as well as snorkelling and scuba diving sites. Stilbaai is located on the Goukou River estuary which brings a different dimension to your enjoyment of water sports. You can water-ski and sail on the lagoon while the 15 kilometre river is also great for anglers and keen walkers. Speaking of keen walkers, 3 nature reserves nearby - for one, the Skulpiesbaai Nature Reserve - provide excellent hiking opportunities. 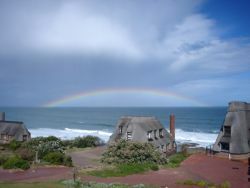 Another natural heritage site in the area is the archaeological site at Blombos Cave, where the remains hint at one of the oldest known human settlements to date. 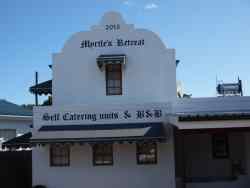 Back to the present, and Melkhoutfontein, 7 kilometres inland from Stilbaai is no longer a hopeless township, but an opportunity for inter-cultural exchange. Walking tours can be arranged and a traditional meal with the locals is a good way to experience life through their eyes. Camping is a popular activity with visitors to Stilbaai. On a practical note, Stilbaai has a wide range of amenities despite its small size. There are many restaurants to choose from, a number of grocery stores a hospital and a variety of gift shops, salons and other outlets. If you are looking for a convenient place to wind down over summer, consider one of the many self catering accommodation options in Stilbaai. The town is small, the beaches are beautiful and there are myriad things to do in Stilbaai to appeal to all ages and types of people. A quick look at our website will give you the information you need to make your choice. You will find reviews and you will also be able to compare prices and find wonderfully affordable accommodation in Stilbaai. 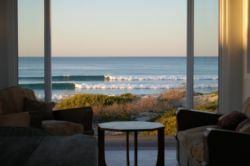 Are you planning the perfect getaway but have not yet found your ideal Stilbaai accommodation? By using our easy website, you can find great accommodation of all types, whether it is a cosy bed and breakfast or a comfortable lodge. We have thousands of easy to find listings for self-catering facilities, holiday homes, guest houses and hotels as well as backpackers, chalets, caravan facilities, villas and apartments, giving you a wide variety of options when it comes to your accommodation in Stilbaai. To help you find the right place to stay, we have a number of tools that you can use, including a map. This will help you to pin point exactly where you will be staying and it will show you the accommodation facilities that are closest to where you will be. Regardless of the reason for your visit to Stilbaai, we can guarantee that you will find the type of accommodation you are looking for. But reviews for Stilbaai accommodation is not the only information you will find. Want to know if your Stilbaai accommodation is pet-friendly or allows smoking? All of that information is included on the listings page. You will also be able to find which activities are on offer and the sort of amenities included with each room. All of this information will help you to make an informed decision before you make any payments to, giving you more peace of mind about your choice. 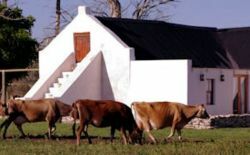 We include all of the contact details of the self-catering accommodation, holiday homes, guest houses and hotels as well as backpackers, chalets, caravan facilities, villas and apartments in Stilbaai which are featured on this website, so you also have the option of getting directly in touch with the place. 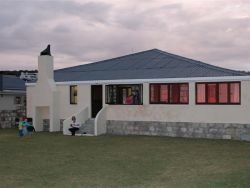 Regardless of where you are staying, we feature Stilbaai accommodation in that area of the province. 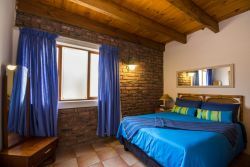 You have options of Stilbaai guest houses, lodges and bed and breakfasts, among others, ranging from your more affordable, lower prices to your more luxurious options. So, you are not visiting for a holiday but rather for business and all you need is a place to stay for a night or two? The bed and breakfast options, as well as the lodges, are generally preferred by business people and you will find all types, from your more luxurious lodges to your simple, self-catering bed and breakfast. Each will give you a safe roof over your head while you are in the province. 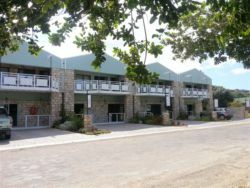 Stilbaai accommodation is not only affordable but well situated. If you are doing business in this area, this is a great accommodation choice. Spending more than a few days in the province? Perhaps you are indulging in a tour of the region and you are looking for a few places to stay? Browsing through our listed self-catering accommodation, holiday homes, guest houses and hotels as well as backpackers, chalets, caravan facilities, villas and apartments in Stilbaai will give you all of the information you need to make your selection. And once you have found the ideal place to stay, you can either request a quote or make your booking directly on this website. Sleeping-OUT.co.za is designed to make finding and booking accommodation in Stilbaai easier than your traditional methods of sourcing a place to stay! 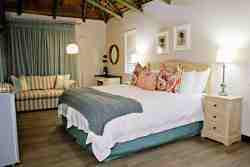 We include some great accommodation special deals in and around Stilbaai.